Photography is the outlet of my creativity. Through photos, I can make my imaginations come alive. Portrait photography is my favorite as I have been doing it for more than 5 years and counting. From day one, until now, my excitement photographing portraits is still the same! 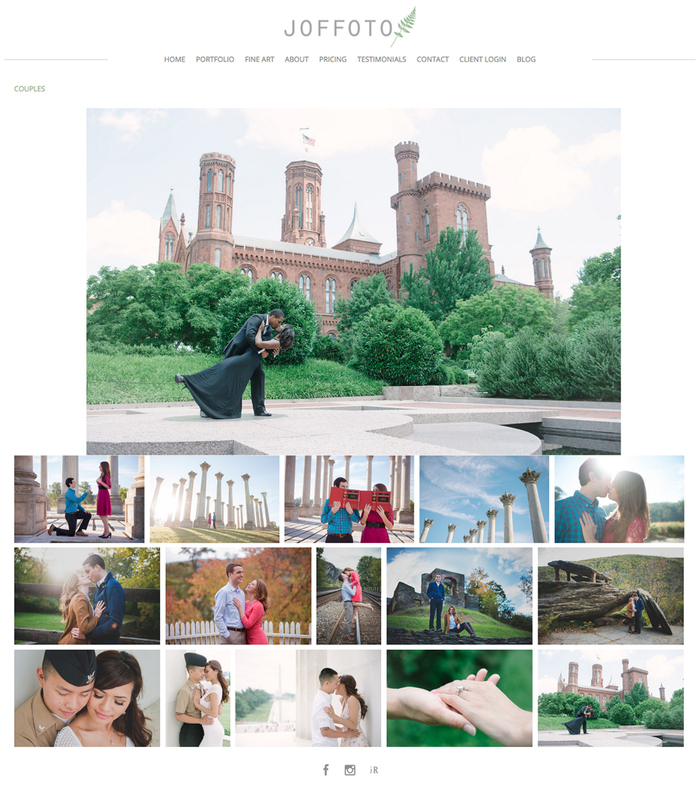 I had a couple clients at the Lincoln Memorial in DC last year, while on their engagement session, I asked them to get intimate and right before they started kissing, a random tourist guy showed up, stared at them, and of course as soon as the couple saw him, they started laughing so hard instead! Those precious candid moments are my favorites, very natural! I was able to capture it all! This tip is for photographers: if you have a photo shoot in a new location where you have not visited before, try to scout the location ahead of time so that you’ll be able to pick the best spots for your clients! While scouting, don’t just focus on how nice the location is, try to study the light sources as well – this way you’ll be prepared when you need to use your flash or reflector. Hope this helps! jR Customization: jR Customization is the best! They helped me put my website a couple of years ago, updated it this year and added my blog site. I could not be more satisfied on what he has created. They are very creative and knows his job very well. They listened to what I need and added his personal touch and made my envisioned website/blog into reality. They are very easy to work with and they turn-around-time is phenomenal. I highly recommend his web/blog design services! Thank you so much! SmugMug: I’ve been using SmugMug from the day I decided to pursue my photography hobby into the next level. It is the best photography tool I have besides my camera. Everything I need from web hosting, showcasing my work, sharing and professional prints, Smugmug has it all. 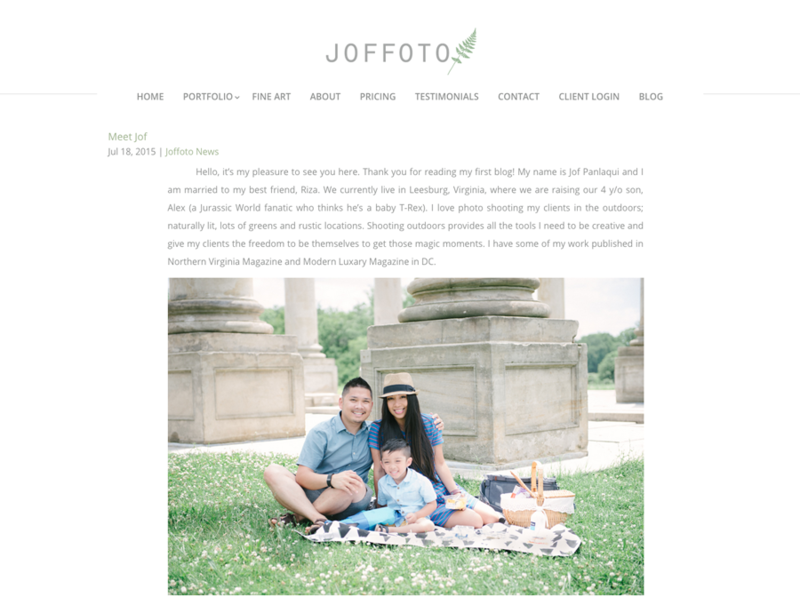 One of my major goals this year is rebranding from Jof Panlaqui Photography to JOFFOTO which has happened already, thanks to jR Customization for making the transitions seamlessly! 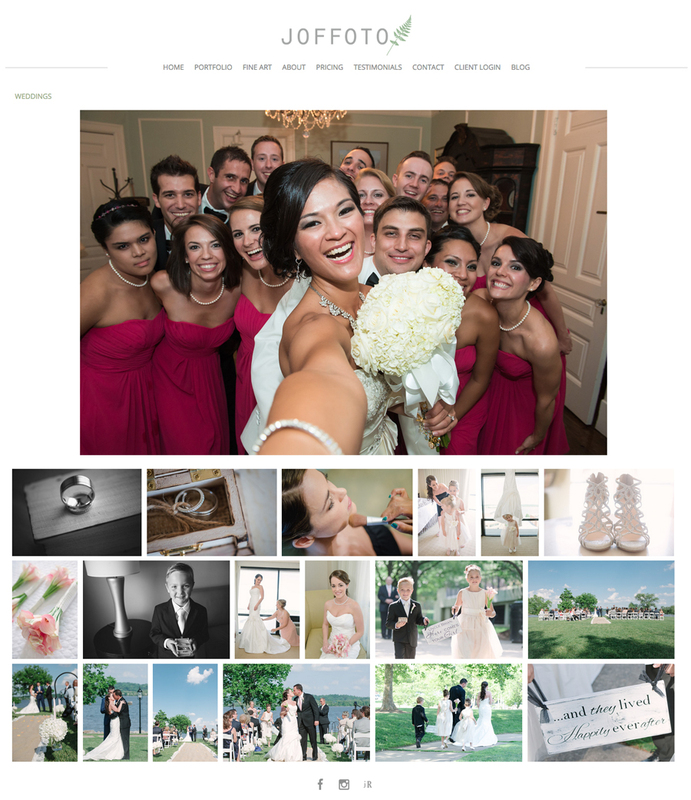 They made my site and blog the way I envisioned them! My next project is to market my rebranded business. 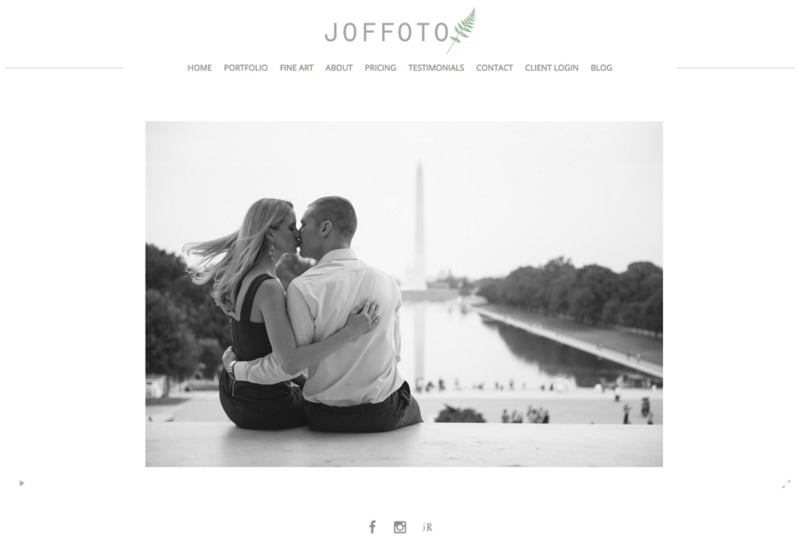 Please visit my website at www.joffoto.com and click on the “About” page. You may also visit my blog at www.joffotoblog.com and look for my very first blog, “Meet Jof.” Thanks!